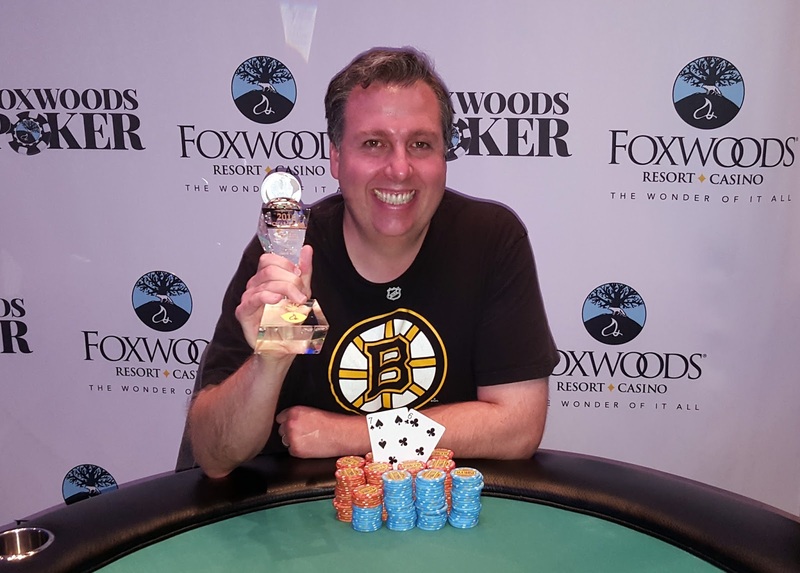 After eliminating Joseph Meacham heads up, Joseph Curtin has just won his first Foxwoods trophy, and $47,788. 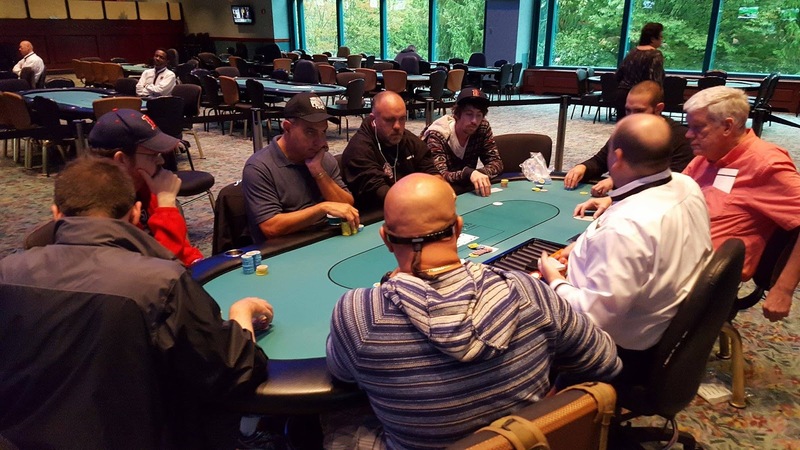 There were a total of 119 entries in today's $400 No-Limit Hold'em Six Max event. 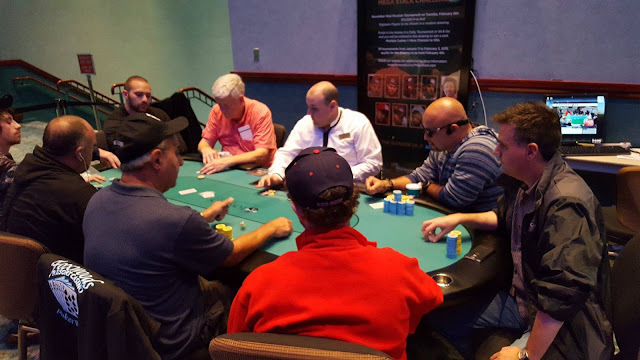 Those entries generated a prizepool of $40,400, with 15 spots making the money. 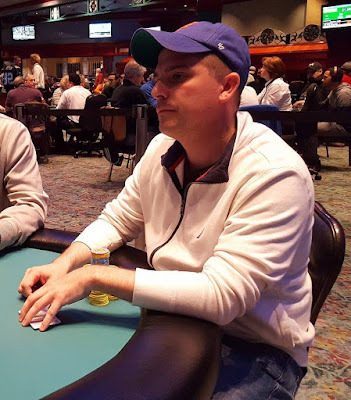 According to Mark Walsh, he recently doubled up when he turned two pair. 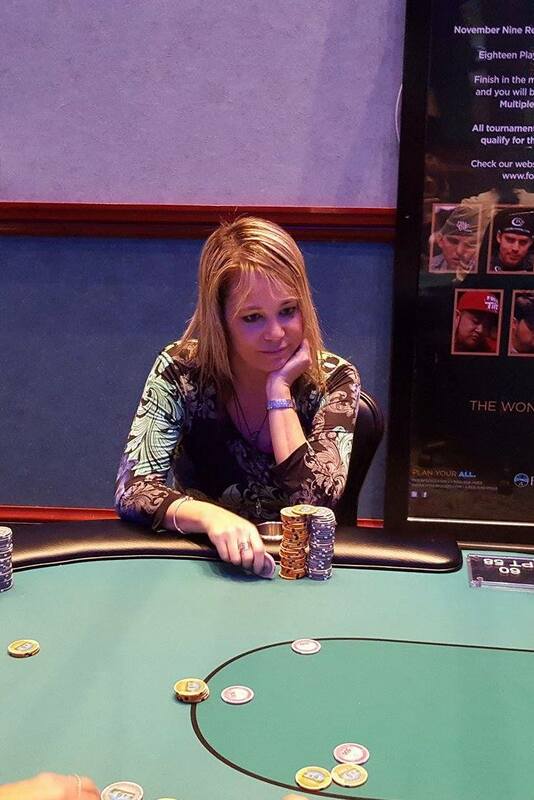 A player had raised in earlier position and Walsh defended with king-queen. 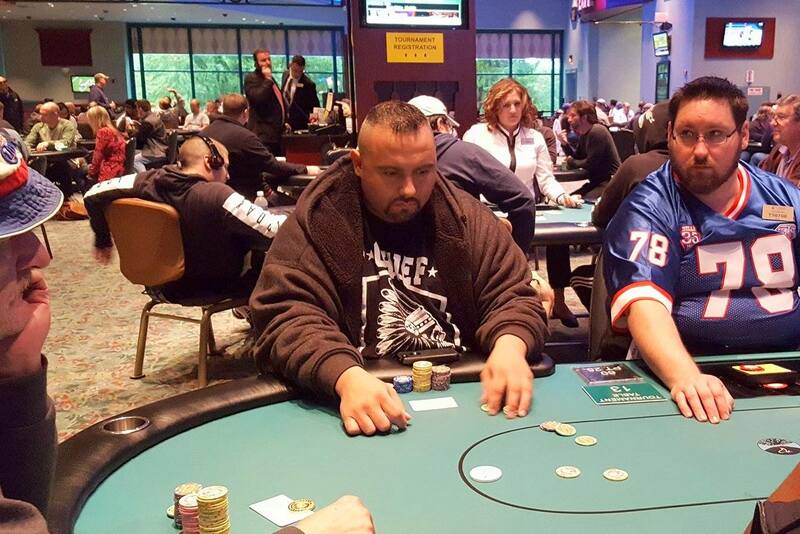 The flop was king high rainbow. 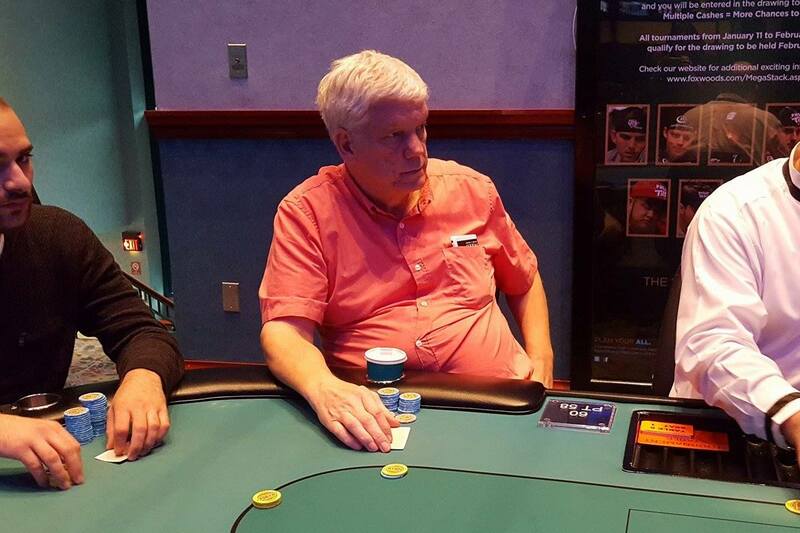 Walsh be 2,500, and his opponent raised all in for 7,800. Walsh tank called and was up against Ace-king. 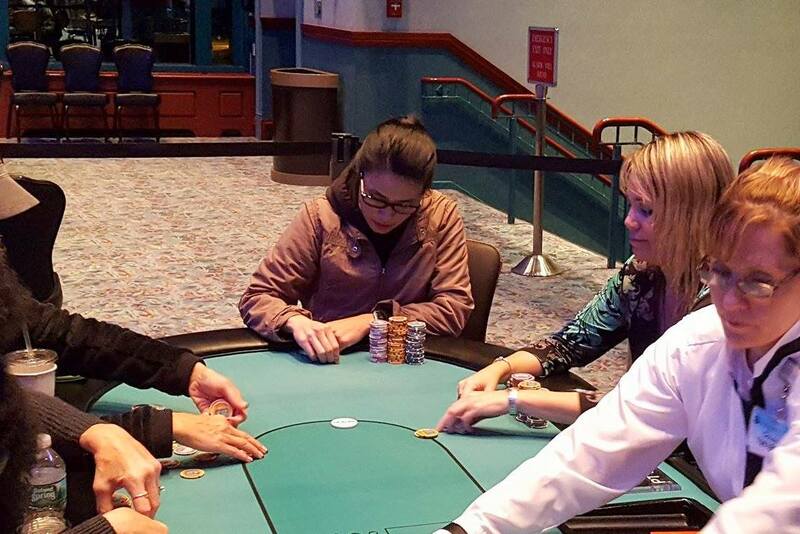 Fortunately for him, he turned a queen for two pair, eliminating his opponent from play. 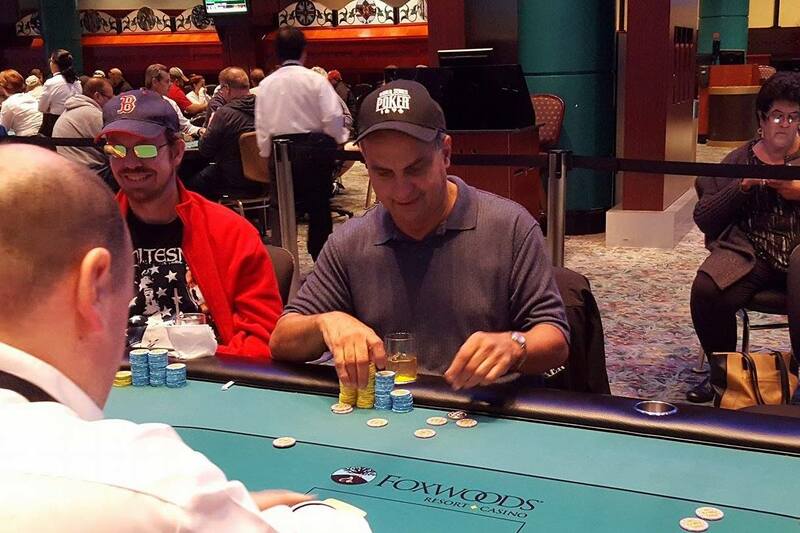 Walsh is now sitting with 55,000 in chips and one of the bigger stacks in the room. Registration has just closed for the $300 Stud Hi/Lo Event. 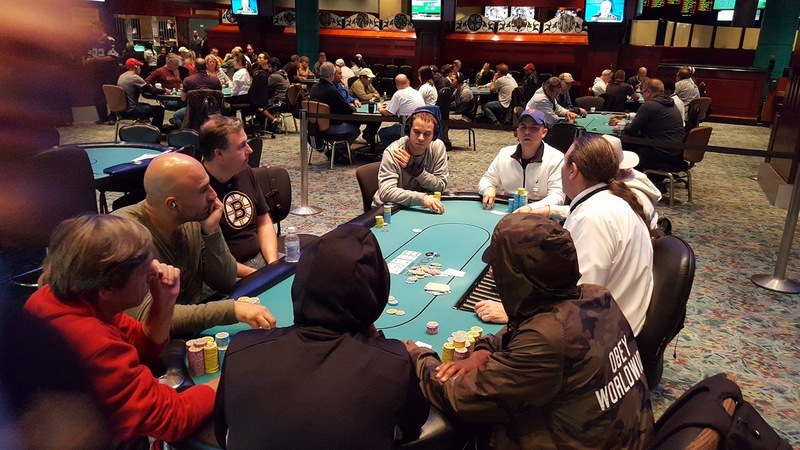 The clock reads 63 players remaining. 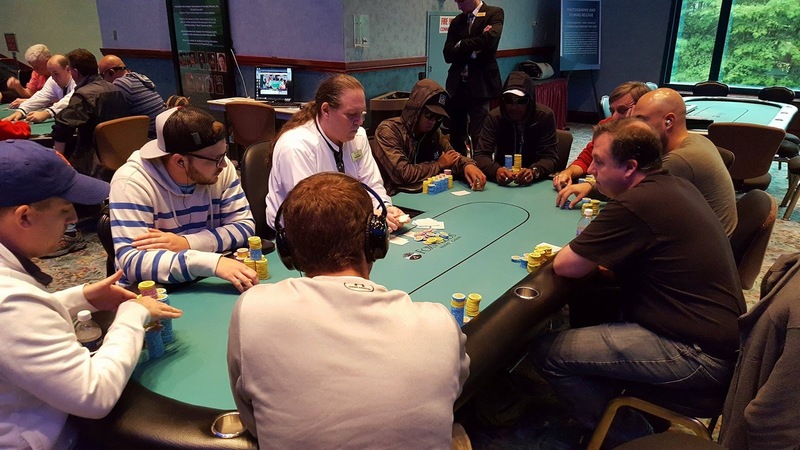 We will bring you the prizepool information within the hour. 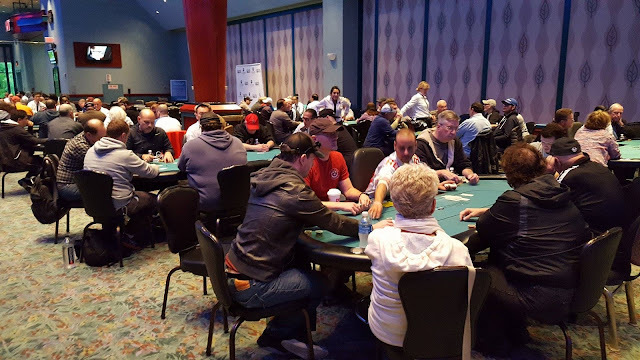 There are currently 108 entries in today's No-Limit Hold'em Six Max event, and the clock reads 81 remaining. 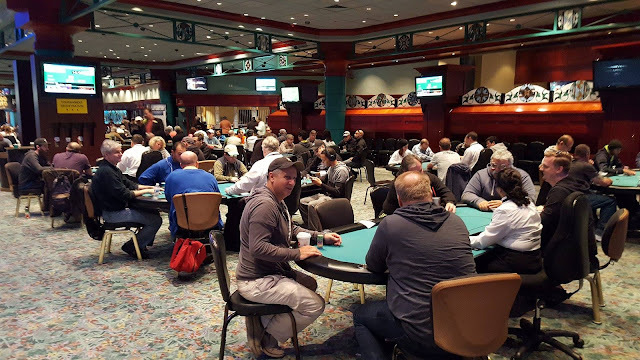 Registration is still open until the start of Level 9, and the players are currently nearing the end of Level 7 (with 200/400 blinds and a 50 ante. 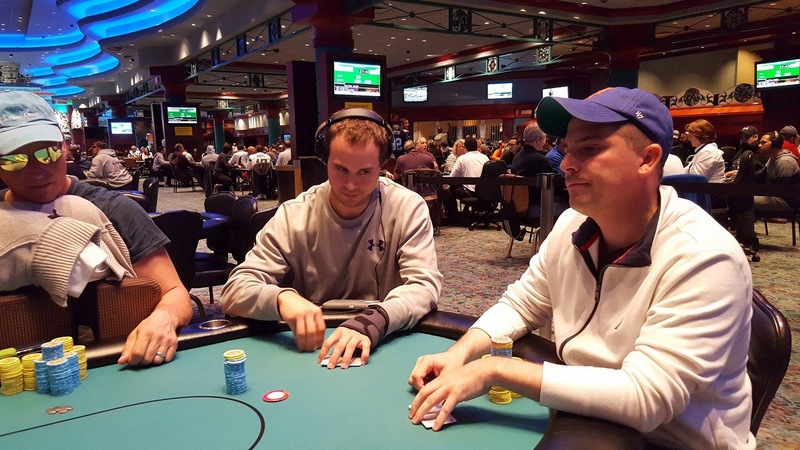 Brad St. Vincent shoves all in from middle position and Jeffrey Yancheck reshoves. 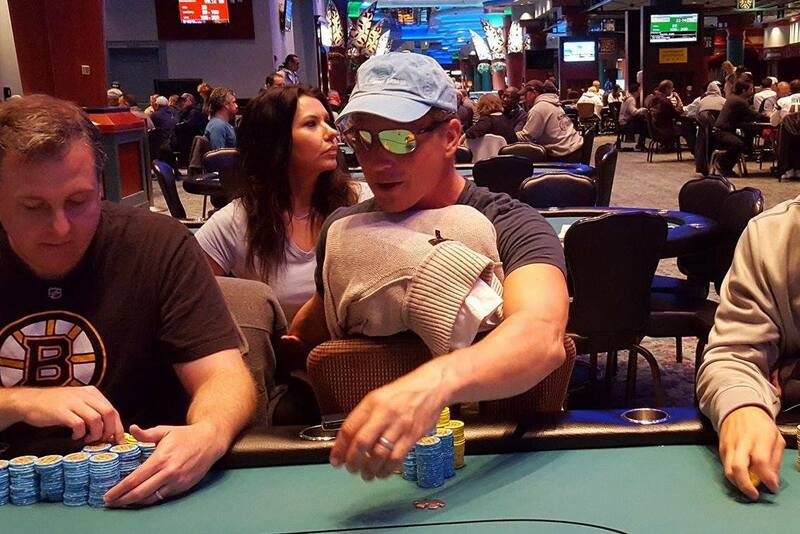 All other players fold. 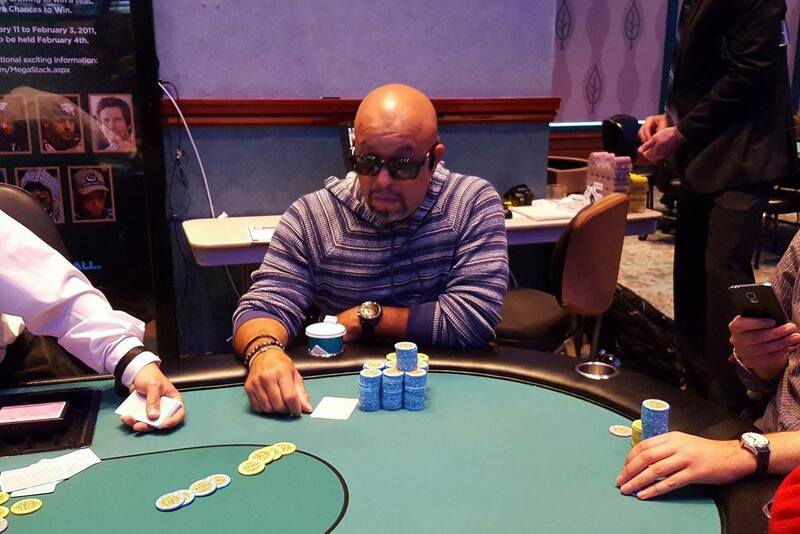 The flop comes king high and St. Vincent fails to improve on the turn or river. This is St. Vincent's first cash of the 2016 World Poker Finals series, but he will add another $3,028 to his impressive $629,000+ in total lifetime earnings. 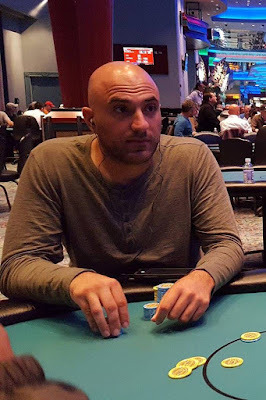 Facing a raise from John Caputo on the button, Jose Pereira shoves all in from the small blind, and Caputo calls. 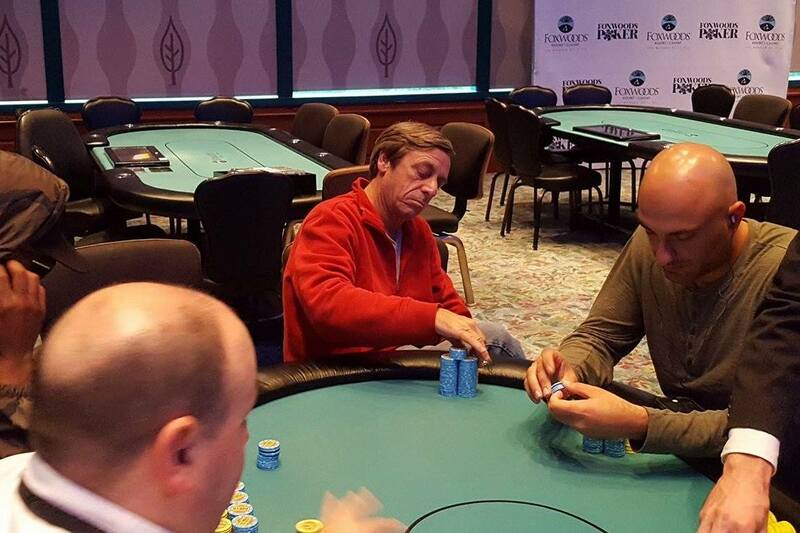 Pereira is ahead holding A♦8♦ against Caputo's K♠J♣. He maintains that lead as the flop and turn comes 10♣9♥6♣8♣ but the 7♣ river gives Caputo a flush to win the hand and Pereira is eliminated in 15th place. 2014 World Poker Finals Ladies Event Champion Robyn Londergan raises to 50,000, and three time Ladies Event champion Catherine Connaughton reraises to 100,000. Londergan shoves all in for around 210,000, and Connaughton snap-calls. 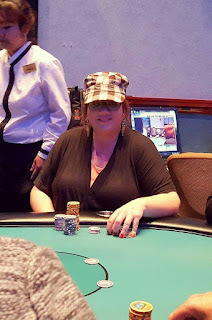 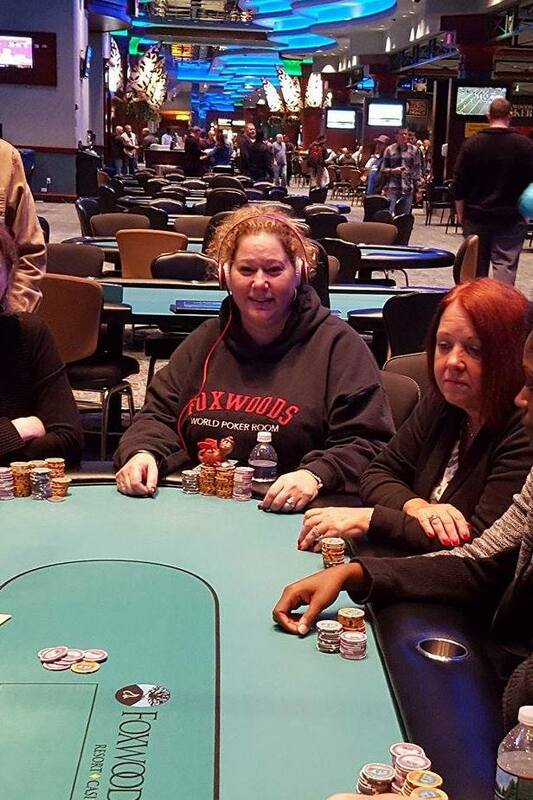 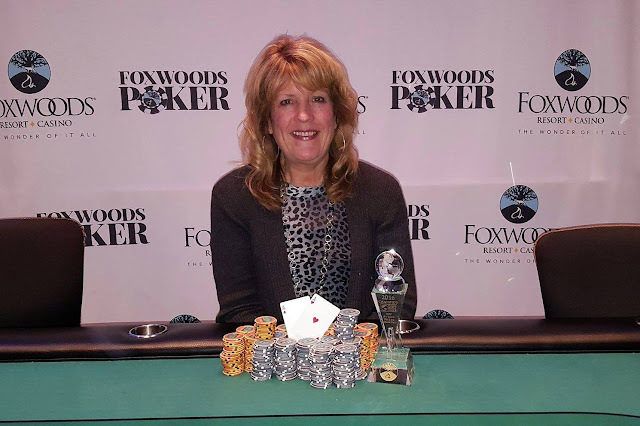 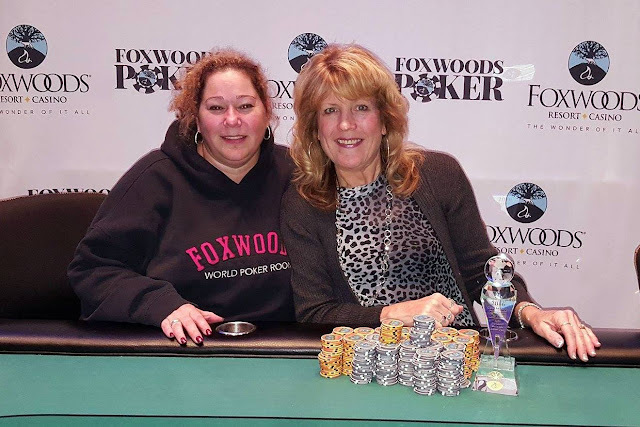 The board runs out Q♦8♠4♠A♣10♠ eliminating Londergan from play in second place, and awarding Connaughton her fourth Foxwoods Ladies Event trophy. Candy Nhoybouakong was recently eliminated after shoving all in holding A♥4♥ and getting called by Vicki Campbell holding pocket kings. 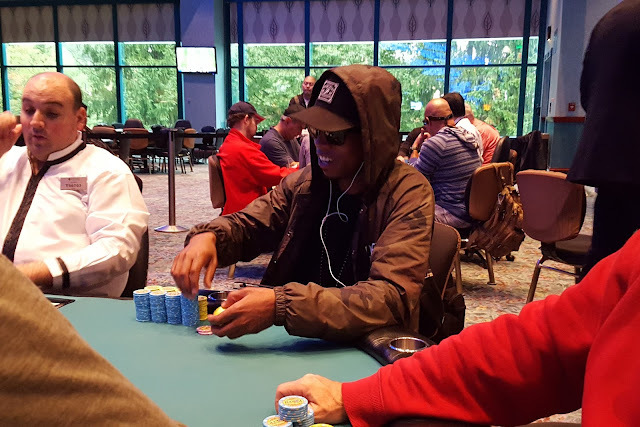 The flop came king high, giving Campbell a set, and the turn was another five, giving Campbell a full house, and eliminating Nhoybouakong in 5th place. There were a total of 253 entries in today's super stack turbo event. 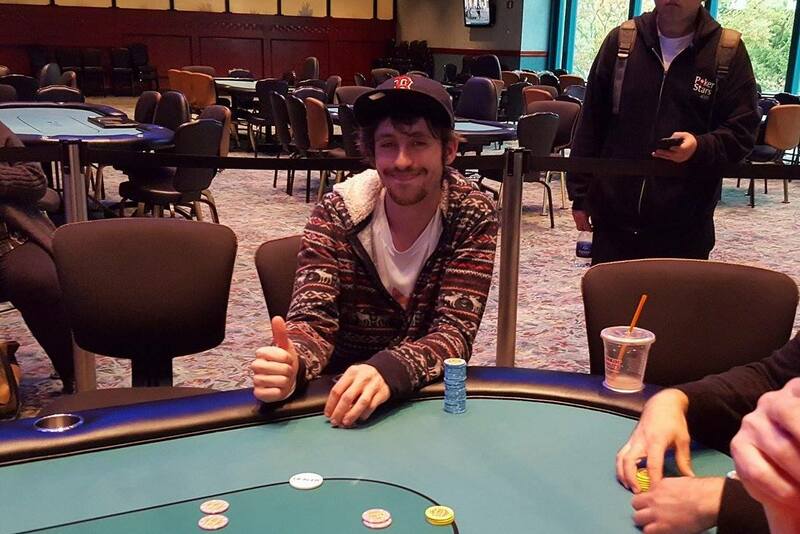 Those entries generated a prizepool of $52,763, with 27 spots making the money.